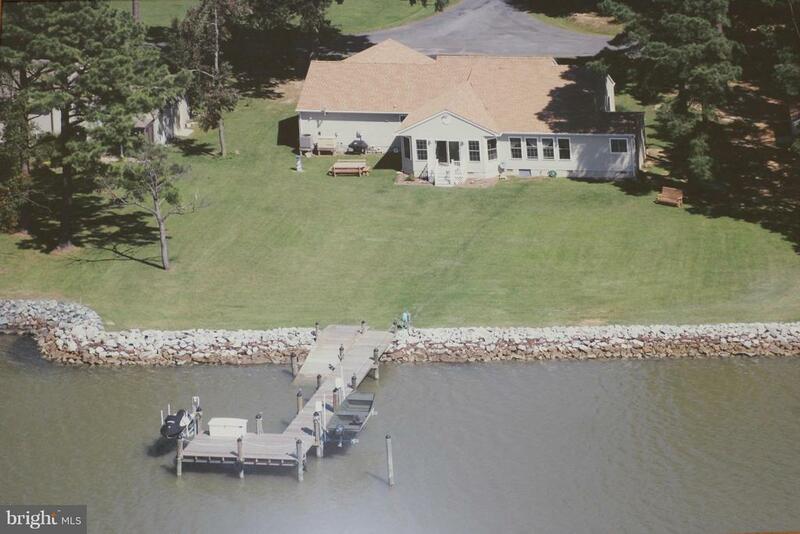 1980 Built home includes a private dock on the Bay with a boat lift. A Bay Room to Watch the Sunsets and the ships Sailing up the Bay from all the windows. Bayside addition and garage were added in 2004. Interior was completely updated/ renovated , including new windows, doors, ceilings, etc. This home as many things to offer. Master Suite has the same view as the Bay Room. Master Suite offers a walk-in closet and accessible bathroom. Each Room has thermal blinds to protect your furnishings from the sun. There is a GENERAC generator for the home.Propane gas fireplace in the familyroom.2 Master Suites, new fixtures , doors and windows.Pantry in the kitchen. Laundry room with a large closet and cabinets for storage.Attached 2 car extra large attached garage with door remote and two side doors to enter outside. There is a workshop and storage area off the garage that you can enter from the house. Also included, all house fan and sump pump.